There is no patient sedation or restraint required and the experience is pleasant and comforting to them. Although improvement is often seen after the first visit, most patients require 6 to 8 for the greatest benefit. For most conditions, we recommend a multi-visit treatment plan. Treatments vary in length, but most sites require 2 to 8 minutes. A majority of patients exhibit greater comfort and mobility within 12 to 24 hours after a laser treatment. 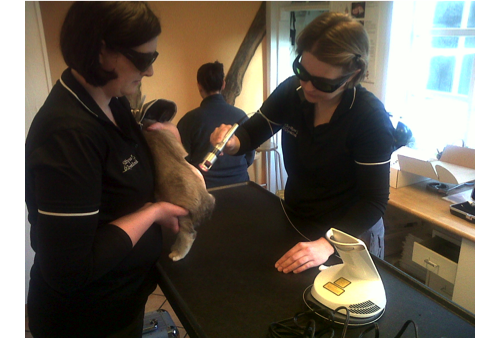 Your laser therapist will recommend a treatment plan specific to your pet’s condition.